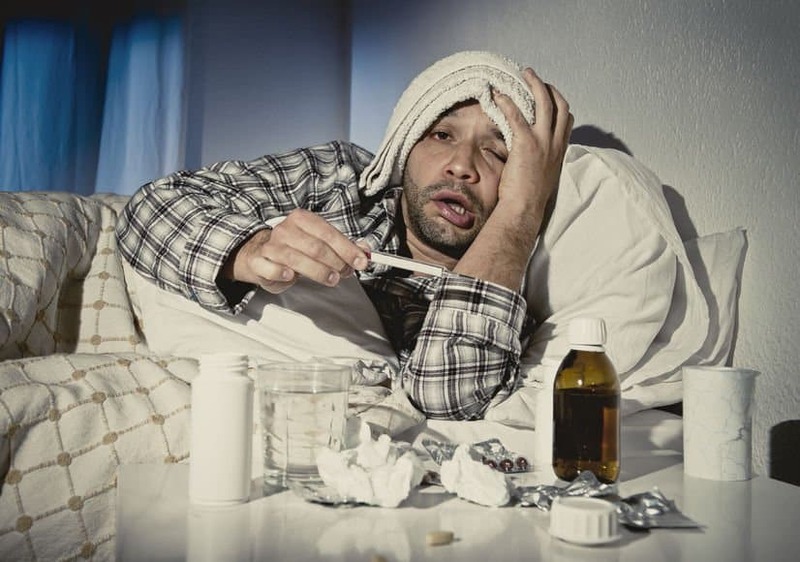 Did you know that most fever is actually beneficial, causes zero problems and helps fight off infection in the body? Unfortunately, it doesn’t always feel so helpful when you’re trying to fight off the symptoms. I’ve seen all types and severities of fevers. I’ve also seen my fair share of people confuse hot flashes, night sweats, heat strokes, hypothermia and a myriad of other issues with fever. But as you’ll come to see later on, these are all very different body responses. In this segment, we’ll be looking at what exactly a fever is, what its symptoms are and how it occurs in your body. 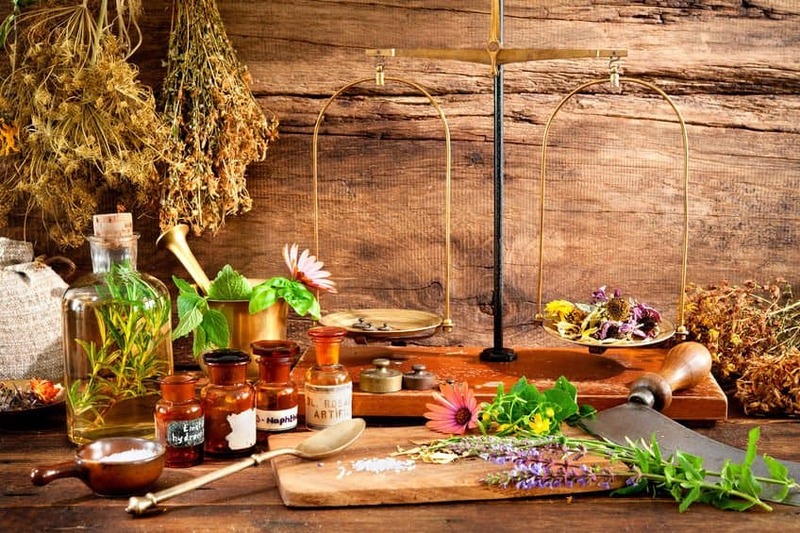 I’ll also let you in on some pretty effective management and treatment practices as well as some of the best natural remedies for fever known to man. Stick around folks; we’ve got a whole lot of fun and facts lined up for you in this mother of all guides to everything you need to know about fever. Also known as febrile response or pyrexia, a fever is defined as having a temperature way above the normal range as a result of an increase in your body’s temperature set-point. While there is no single agreed-upon limit for normal body temperature, the consensus is usually between 37.5 to 38.3 degrees Celsius (99.5 to 100.9 Fahrenheit). Any increase in this set-point triggers increased muscular contractions and causes the person to feel cold. As a result, the body pumps up the heat production and other heat conservation efforts. So when the set-point temperature returns to normal, the person becomes hotter, feels flush and may even begin to sweat. Typically, fevers do not go beyond 41 and 42 degrees Celsius (105.8 to 107.6 Fahrenheit). Now, fevers should not be confused with hyperthermia which is actually a defect in the body’s thermoregulation or heat response that drastically raises the body temperatures. Heat stroke and exhaustion are forms of hyperthermia that are usually caused by external sources such as being in extremely hot environments. Similarly, fevers shouldn’t be mistaken for night sweats or hot flashes. These are actually caused by hormonal changes and result in a sudden, intense feeling of unbearable heat. In itself, a fever is usually a sign of an underlying illness or condition. As I’d mentioned earlier, most fever is highly beneficial and helps your body fight off infection. But just because it’s beneficial doesn’t make it any more fun. Before we get to the endless causes of a fever, let’s start at the beginning, shall we? First off, it’s worth noting that everything starts in your body’s thermostat. A fever generally occurs when a part of your brain called the hypothalamus or the thermostat shifts the set-point of your normal body temperature upward. As a result, your body shivers in an attempt to generate even more heat; eventually leading to a substantially elevated body temperature. So, what exactly triggers this change in your hypothalamus? As a major rule of thumb, people tend not to bother treating fevers that don’t cause discomfort. That’s because while unpleasant, most fevers rarely rise to dangerous levels even when left entirely untreated. However, there are some steps you could take just to be on the safe side. I’ve compiled all the known preventative measures, cures, treatments and some home remedies that will help you clear your entire family of fever and its associated symptoms. Preventing a fever is quite possible, but only to the extent that the particular cause of said fever can be avoided. Since most cases are caused by infection, avoiding these sources of infection is the best way to prevent a fever. So, how exactly do you achieve this? I’m genuinely glad you asked. Proper Hygiene – As we’ve already established, the most common causes of fever are from bacterial, viral and parasitic infections. Avoiding these sources and maintaining good hygiene is the ultimate weapon against fever. Good hygiene practices include washing your hands before and after meals as well as after visiting the toilets. Avoid Contact – with the sick and keep immunizations up to date. This guarantees that the infection causing the fever does not spread from person to person. While there is limited evidence, there is proof that cooling fever patients actually helps manage the condition. For example, bathing fevering children with tepid water really helps combat the symptoms. Similarly, the use of fans and air conditioners may somewhat reduce temperatures and improve your comfort. But if the temperatures reach extreme and dangerous highs, then aggressive cooling measures will be required. This includes applying ice packs across most of the body surface as well as complete submersion in ice water. Generally though, anyone with a fever is advised to remain adequately hydrated to compensate for lost fluids and help cool the body from within. Non-steroidal anti-inflammatory drugs and over the counter medication such as Tylenol can really come in handy if you want to lower a fever. Typically, your doctor will recommend about two tablets of Tylenol every six hours. This is by far the most recommended medication for fevers, especially in children. It is far more effective than aspirin which is generally frowned upon when it comes to children and young adults. For adults, two to three tablets can be used every six hours to help reduce the symptoms of a fever. Here’s another non-steroidal, anti-inflammatory drug that can be used to bring down even the worst of fevers. Unfortunately, its effects are only temporary, and it won’t do anything for the underlying causes of your fever. The only reason I’m even allowing this poison on my list is because 80 percent of people already chew on it like breath mints anyway. Listen; it may seem like a harmless sleeping pill, but Aspirin is one of the worst drugs you could have in your home – yes, even worse than marijuana. First off, Aspirin should never be used on children or adolescents, period. Using it on kids during a viral illness such as flu, influenza or chickenpox has been primarily associated with the development of Reye’s Syndrome. This is a very dangerous condition that causes prolonged vomiting, hallucinations, confusion, liver failure, coma and even death. So even if Aspirin does help reduce the severity of fevers, even adults should be careful how much they take. Now that you’ve seen what some of these OTC drugs can do, you know exactly what to avoid. No pharmacist will tell you this, but I’ll give it to you straighter than a bamboo cane – A mild fever might just be helping your body combat the source of infection. With this in mind, it might not be in your best interest to bring it down. And the last thing you want to do while you’re at it is to pump your body full of meds and chems. Chances are that you’ll only help aggravate the underlying cause of the fever and confuse your internal thermostat even more. That said, high and prolonged fevers have been known to cause adverse effects such as seizures, necrosis, delirium, discomfort, among others. So you also can’t afford to sit back and do nothing. 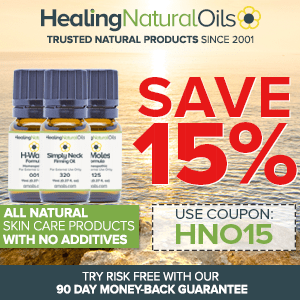 This is where natural remedies and solutions such as Mother Nature’s very own essential oils come in to save the day. Some of the best essential oils for fever not only contain specific fever reducing properties, but also have cooling properties that help fever patients recover faster. And the best part is; they’re perfectly safe for children, have no side effects and can be used on both mild to acute fevers. I know you’re very busy, so I’ve compiled a list of the best essential oils for fevers and some time-tested recipes to help you put the oils to good use. Kicking us off is one of my favorite oils on the planet. Peppermint essential oil has been scientifically proven to have significant antipyretic properties that are exactly what the doctor ordered for fever. As we speak, peppermint is already the most popular medicinal oils for treating irritable bowel syndrome. Similarly, peppermint essential oil contains a vital component known as menthol. Menthol is not only useful in relieving respiratory problems, but its cooling effect is unrivaled when it comes to helping bring your body’s core temperatures down. Here’s another oil packed with all the properties you need to combat the symptoms of a fever. 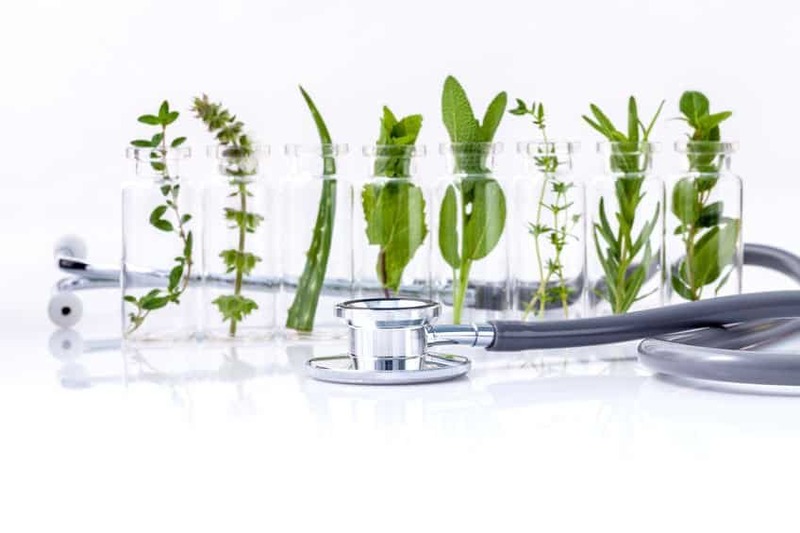 Thanks to its potent antipyretic characteristics and anti-inflammatory properties, Basil essential oil has found numerous applications in fever reduction. Surprisingly, the ability of Basil essential oil to lower the body temperature is quite similar to Aspirin. The only difference is that there are no adverse side effects even after prolonged use. As the Bible will no doubt attest, Frankincense is one of the oldest oils that have been used medicinally in hundreds of cultures. Apart from being a proven immunity booster, Frankincense essential oil also contains astringent, antiseptic, anti-inflammatory, sedative, tonic and disinfectant properties. All of which come in very handy to fight the effects of fever. In addition to helping patients deal with pain and discomfort associated with chronic fevers, Frankincense is generally safe to use for all ages. Globally renowned for its numerous calming and stress busting features, Lavender essential oil can also help offer relief for fevers. It’s incredible stress relief, and sedative properties help work wonders for irritable and fussy fever patients; especially children. 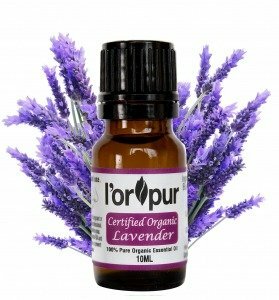 Apart from its analgesic and anti-inflammatory properties that directly attack the viral and bacterial causes of fever, lavender essential oil’s tranquil nature helps lower the body temperature more efficiently. Used in numerous parts of the world, chamomile essential oil is widely recognized as a highly potent antispasmodic, sedative, anti-inflammatory, and anxiolytic substance. However, Chamomile also contains some hidden antipyretic properties due to a compound within the oil known as Bisabolol. However, it’s the oils febrifugal and sudorific properties that make it one of the best for fever control. By applying chamomile essential oil to the skin, it opens up the pores for more sweat to come out. Not only does this help reduce the body’s core temperature, but it also helps flush out toxins and other harmful compounds from the body. Forget double whammies – eucalyptus essential oil has so many whammies that even professional medical experts and scientists are calling it the fever oil. So, what makes it one of the most popular oils for anything to do with fever? For starters, let’s talk about its analgesic, anti-inflammatory and antipyretic properties that make it a top contender from most issues. As if that wasn’t enough, eucalyptus oil also acts as an expectorant that helps loosen phlegm in the nasal passage and alleviate coughs, congestion, and other conditions that often accompany a fever. What’s more, the oils aroma-therapeutic properties help invigorate the mind and return lost energy and motivation. Mix the 2 essential oils in a small dish and add the carrier oil as desired. You can also put the blend in a small roller bottle. Apply to the spine and bottom of your baby’s feet for relief from fever. You can also rub a few drops of the blend on the baby’s chest – just ensure the baby does not touch the chest area. Applying the blend to the spine and feet ensures baby won’t touch or rub the oil off. You can apply 2-3 times per day, about 6-8 hours apart. Mix all the essential oils in a small dish and add the coconut oil once they combine. Apply the blend to your forehead, back of neck, ear tips and underfoot every hour until fever subsides. Add 10 drops of frankincense essential oil for every half liter of cold water and enjoy a cooling sponge bath. Repeat two times a day for about a week to eradicate any fever recurrence. Add all the essential oils in the ice water and soak a soft cloth or face towel inside. Wring out the cloth and place on the forehead to cool the person with a fever. Soak again after a few minutes and repeat until the fever subsides. For babies, you can use the same method as described above and use the following essential oils: 2 drops each of eucalyptus, peppermint and lavender with around 150ml water plus ice. Combine all your essential oils in the roller bottle and top it off with fractionated coconut oil. Gently shake the bottle to mix the ingredients, replace the roller and apply to the chest, throat, soles and back when the chills hit. Besides all the wonderful essential oils for fever that we’ve looked at, there are a ton of simple and all-natural home remedies that can make you more comfortable. I’ve put together a comprehensive list of the most popular and effective home remedies for fever management. This is probably the most important remedy for fever. By getting the core temperature of the fever patient down, you help kick start the recovery process as well as make them more comfortable. Start by removing as many layers of clothing as you can to expose as much skin to the cold air as possible. If this doesn’t work, proceed to use cold packs on the forehead and wrists as well as wet socks on the feet to get the temperatures even lower. This is another crucial step that you can’t afford to miss. Dehydration can further aggravate the symptoms of fever and cause a spike in body temperatures. It doesn’t have to be liters and liters of water; just a few sips here and there will do fine. According to research, one of the main functions of fevers is to extract ionizable calcium from the bones and into the bloodstream for defense purposes. This is actually what makes us feel tired, achy and fatigued during the onset of a fever. While there are foods rich in calcium, you can also obtain it from supplements. However, I bet you’ll enjoy it more in the form of good old chicken soup. So get that broth boiling and enjoy as many bowls as possible. 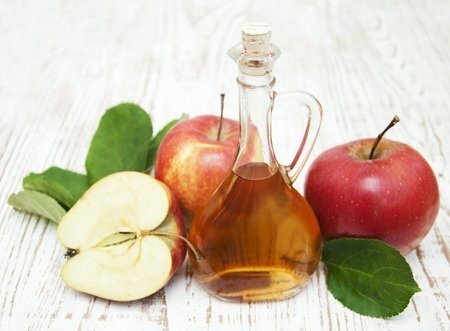 Used by generations and generations of Grandmas all over the world, Apple Cider Vinegar is good for more than just barbequing. According to old folk tales, our ancestors actually used the vinegar to draw out fever – so to speak. But don’t go drinking it now; this home remedy works best when used topically. Just soak a few washcloths in apple cider vinegar and place on the head and belly or patients feet to bring down a stubborn fever. It’s all about the kitchen now, and I bet you didn’t think garlic could help cut down fevers and chills. 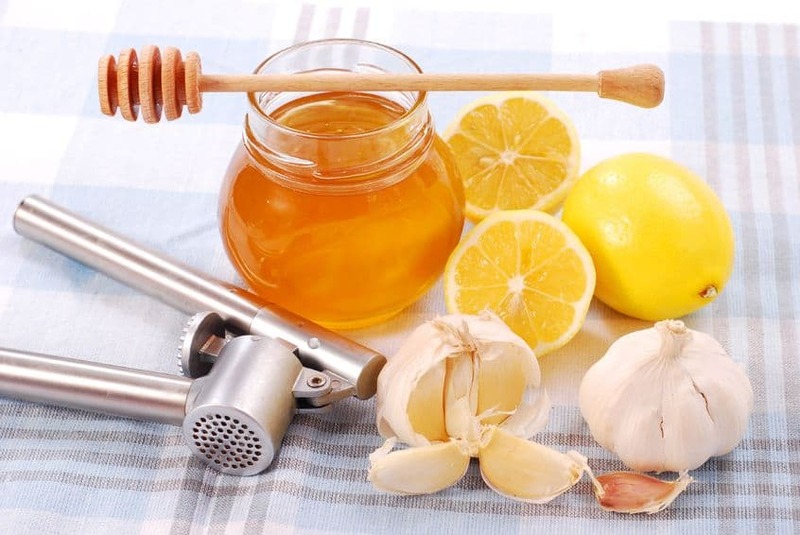 Packed with anti-inflammatory, antibacterial, antiviral and antiseptic properties, garlic pretty much attacks all the usual and common causes of fever. Just boiling garlic in water and drinking a few cups of the concoction a day is enough to help you beat even the worst fever symptoms. If ever there was a time to give your children some frozen treats, it would have to be during a fever. As you’re well aware, very few fever patients can muster the appetite to drink water let alone chomp down a full meal. Frozen treats such as ice cream, popsicles, ice slivers, fruit bars, yogurt and herbal freezer pops all work wonders at keeping the patient happy, hydrated and cooler. While you might ignore it, getting enough rest helps the body heal much faster as a result of a stronger immune system. Moving around too much and performing strenuous physical activities only works to raise your core temperature even further and aggravate the fever. So make sure you have more than enough rest when possible. That’s right; research actually shows that difficulty in breathing can actually aggravate the symptoms of fever. If your fever is caused by flu or cold, it is vital that you keep your nasal passage and lungs clear so you can breathe comfortably. Just be careful not to blow too hard unless you also want a headache with your fever. Here’s a deadly combination for fever patients if there was ever one. First off, too much caffeine is bad for you, no matter what. Caffeine overdose can actually cause fever, insomnia, headaches, irritability, and even dizziness. It also stimulates excessive water secretion which is not good for anyone with a fever. Similarly, alcohol weakens the immune system and makes it twice as hard for your body to recover. So whether it’s coffee, beer, wine, energy drinks or similar beverages, stay away from them. In case you didn’t know it, a fever is also a form of inflammation that your body uses to protect itself against certain attacks. As a result, foods that increase inflammation can actually worsen the fever or make it last longer. The foods to avoid include refined carbs such as white bread and pastries, fried foods, red meats such as ham and steak, margarine and sugar sweetened beverages like soda. There you have it my hot tempered friends; everything you need to know about fevers right at the convenience of your screen. With this information, keeping you and your family safe from fever should be a breeze (pun intended). But while you can treat most fevers at home, it’s also just as important to know when it’s time to call in a doctor. 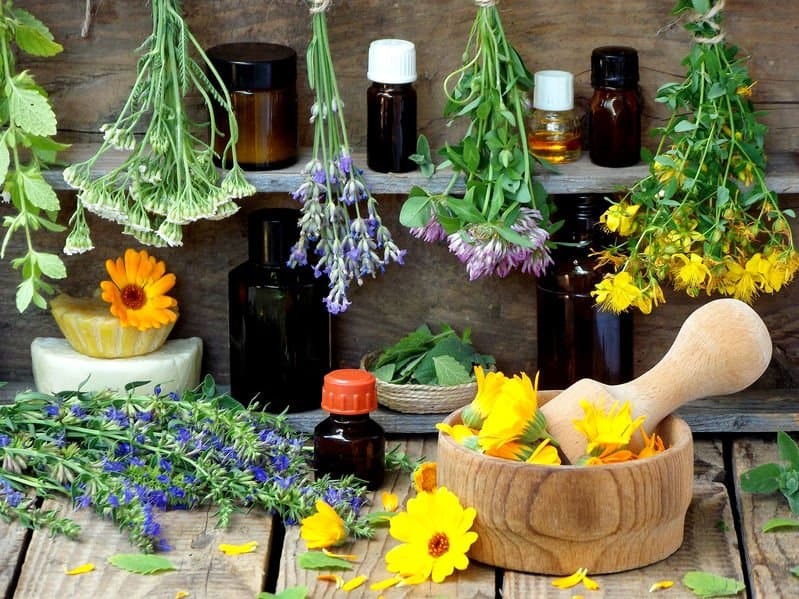 Extremely resilient fevers over 104 degrees Fahrenheit that won’t go down even after trying the essential oil recipes and home remedies should be attended to immediately by a qualified medical professional. Safety first I always say. Very informative. The Frankincense Bath option is interesting. I had heard there was one for Eczema too. Are you familiar with it and could you provide the “recipe?” Thanks so much. Hi Olivia, really informative post. Already missing the skincare serie. Hope you write a couple more? Thanks, there’ll be additional skincare articles at a later date.